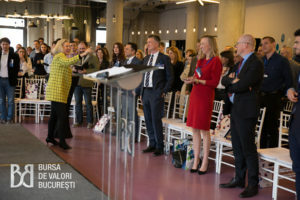 On April 3rd, Bucharest Stock Exchange (BVB) announced and awarded 15 companies that have qualified into the final stage of the Bucharest Stock Exchange’s Made in Romania. 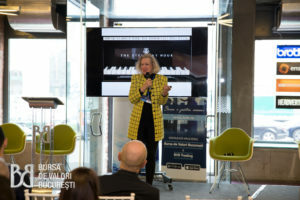 Organized for the first time in the history of the Romanian capital market, Made in Romania is a unique concept aimed at identifying, promoting as well as providing a special mentorship program to Romanian companies with the biggest growth potential. 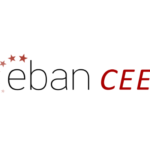 EBAN President Candace Johnson, along with other local and foreign market experts, was a member of the jury which selected the first 13 companies, while the remaining 2 were selected by the public. Read the full press release, including the list of the selected companies, or take a look at the pictures from the event here.